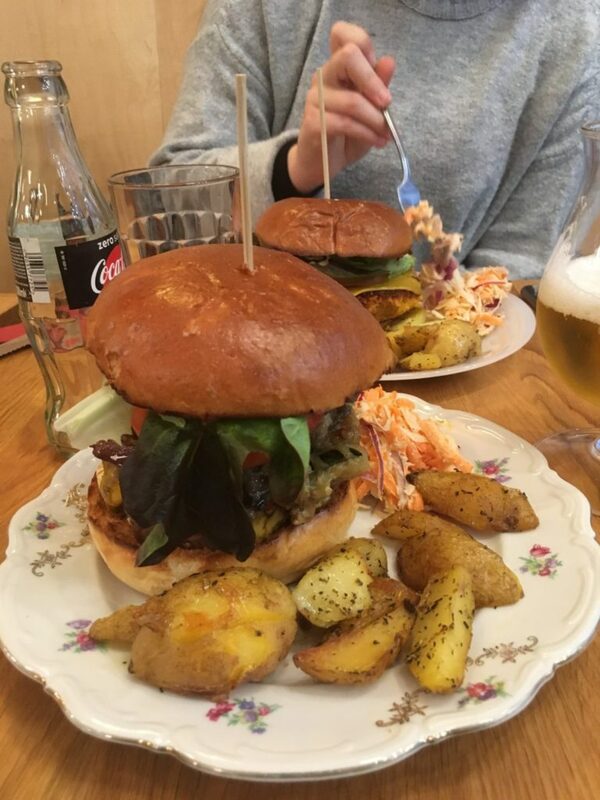 Last week, I was in the bitty Belgian city of Brussels (or Bruxelles in French or Brussel in Dutch) with a Swedish-Canadian friend with one shared goal really: eating. 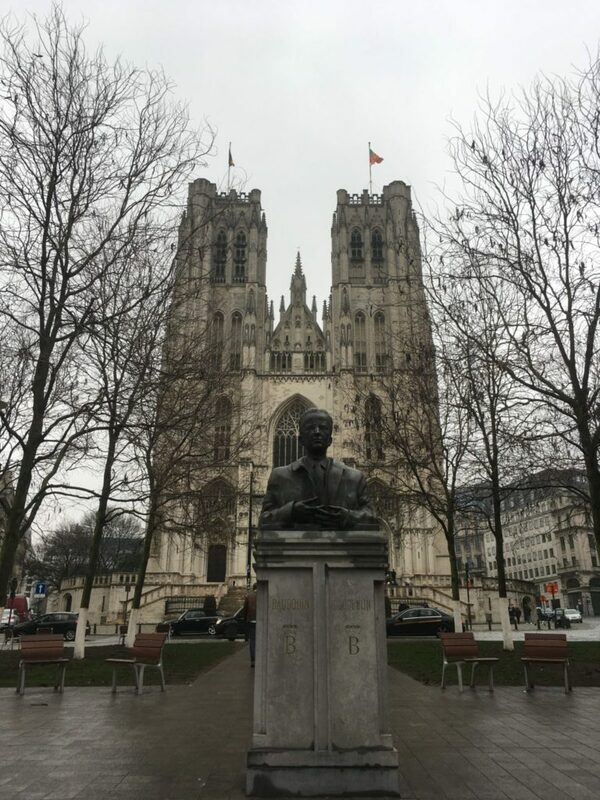 Despite it being the capital (like the country itself), Brussels is a very tiny place with mostly EU parliament workers and buildings, a few Belgian locals, and of course, numerous tourists sprinkled throughout. Surprisingly, despite never taking French, I speak a decent amount and understand it when spoken slowly enough. However, my accent is heavily Québécois (thanks to a Québécois friend), so I apologise to the good Belgian people who were blindsided by my pronunciation. Thus, ordering food actually was a breeze overall, which was good since that was the main point of our visit. Vacation carbo-loading so to speak. In focus, Belgian French is pretty interesting as it takes idioms from Germanic languages and uses French phrases in other particular ways. Be prepared to hear, s’il vous plaît, in place of ‘here’. That usage is certainly not Parisian, but for the most part, the dialect is quite similar to the French of its bigger neighbour. Although, the French themselves might not say so. Before the meat of this post (food pun), our accommodation was Brxxl 5 City Centre, which is conveniently located near the Bruxelles-Midi train station. This stop connects to the airport station, which made transport easy! While it is accessible for sure, as a lodging facility, it is … not one I would recommend in the future. Although, the area itself is cool. Located in the Maghrebi neighbourhood of Brussels, it has good Moroccan food and is more residential than somewhere closer to the centre of town. However, the hostel itself is more of a hotel, and the front desk is a bit surly at all times and charges for everything. The rooms are also a sauna at night, and wifi is iffy anywhere else but the lobby. If you venture to Brussels, I actually would suggest somewhere else. As for things you will want to experience, Belgium is known for its sweets and carbs even more than Sweden is. Waffles, chocolate, and pommes frites (not French fries or face the wrath of multiple Belgians telling you from where this dish originated)! Sold cheaply on the streets and corner stores, these delicious treats are daily occurrences for many, especially tourists. Fries can be found anywhere really (and be sure to watch them double fry them for extra goodness! ), but for the best waffles, Aux Gaufres de Bruxelles is the place to go! Many chocolate stores also provided samples, so ask nicely to try the interesting finds you have never encountered before. There are two types of waffles to get acquainted with: de Bruxelles and de Liège. The former is thicker and heavier with a sugar glaze from the press while the latter (pictured above) is more conventional and lighter in a rectangular form. Both have their benefits and detriments, choose wisely. This aforementioned selection of sweets is not to say that Belgian food is all heavy and unhealthy. Well, I wouldn’t say unhealthy at least. Belgium is between Germany and France that love their butter and meats, and thus its cuisine reflects this culinary sandwiching. It is hard not to have a savoury and rich gastronomy between these two culinary mammoths. However, Belgian food is not overwhelming, but pleasantly hearty. 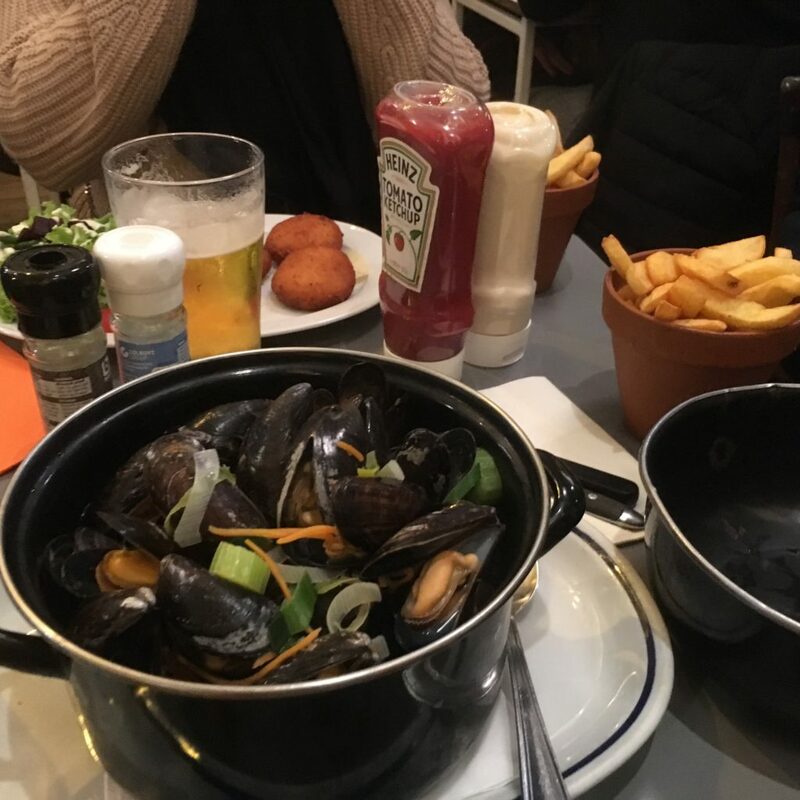 Moules-frites (mussels & fries) are a lighter fare that always come in huge quantities while Vol-au-vent (pastry and creamy chicken) is a French inspired dish that is perfect for a winter’s day. For moules-frites, Houtsilpou is a great popular location for locals and tourists alike that offers a little free hummous with the table. 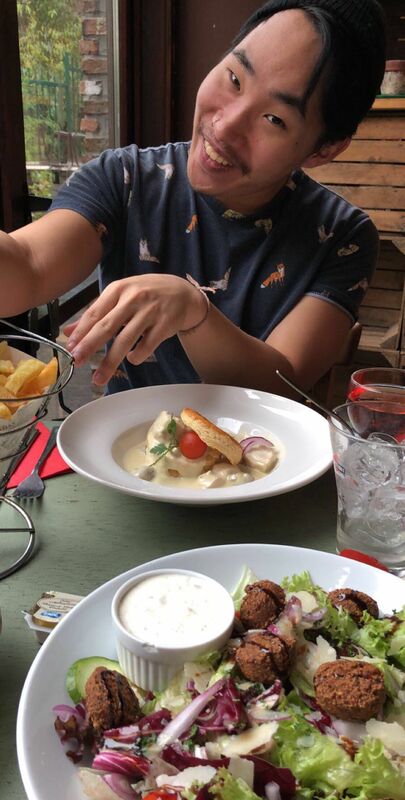 They have nice vegetarian offerings as well for those who do not want to partake in the rich Belgian stews, meats, and seafood they offer. Try their cakes and cocktails too! Another hidden gem is Café Novo, located just outside the main square (Grand Place)! 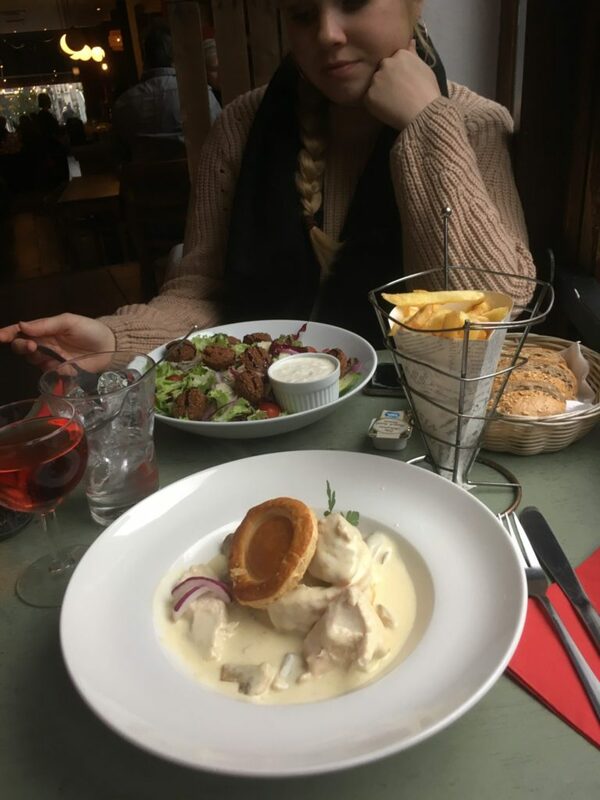 With free wifi and affordable traditional Belgian cuisine, it is a must for first timers to sample what Belgium has to offer. It also has some of the friendliest staff around too. Another Belgian speciality is of course beer! Mostly ales, Belgian beer is still quite diverse with a focus on richness and fruitiness. The most popular place for tourists is Delirium Café with its 2000+ beer selection. It is recognizable by its pink elephant logo, but has offshoot branches around the city for those who may want to avoid the multi-storied behemoth hive location. I suggest Little Delirium for a quieter experience. For a full bar, the kooky hole in the wall called Le Cercueil [sɛʁ.kœj] (which means ‘the coffin’) is perfect for an early drink. Small and on the fringe of the Grand Place, it has coffins for tables and a serious amount of black lights. It is a fun joint that caters to mostly tourists, but it is still worth a visit. The drinks are SCARY strong too, so beware! One plus about Brussels is that since it is so small, the city is completely walkable. There is a metro system, but it is only necessary if one does not want to schlepp the whole way. As it was raining one day pretty heavily, we decided to take it, and it turned out to be pretty manageable with only four metro lines and additional trams. However, as a result of its size, Brussels is easy to miscalculate and thus overshoot a destination by accident too. It is quite the double edged sword: get lost super easily despite everything being close while everywhere one wants to go to is nearby! Notably, one club worth going to is Madame Moustache, an eclectic bar with a swanky circus/sideshow theme and dance floor. Unfortunately, it is custom to pay for using the lavatory, so be prepared to have a few euros on hand for the toilet if necessary. Sort of a racket, but that is life, eh? 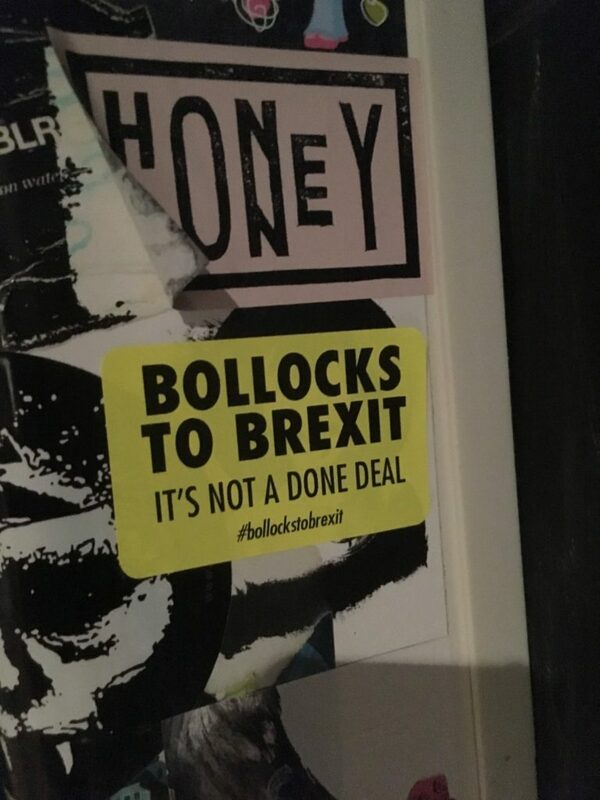 Personally, I find Brussels to be more of a pub and bar city anyway, as their clubbing culture is more reserved than other places in Europe. For this reason, paying for the bathroom might be moot if one does not go to clubbing venues in general. Be mellow in Brussels; the city calls for it. One attraction that is off the beaten track is perusing the numerous comic and second hand bookstores in the city. Belgium is home to many beloved European comic characters and their authors/cartoonists, notably Tintin and Nero. Brussels also boasts museums dedicated to these figures and the history of comics that are conveniently located together in the centre of the city. The Marc Sleen Museum is free and interestingly curated. As someone who has studied a bit of museology, its design could be improved in regard to light usage, but overall, it is a cute museum. It has a live artist who people can ask questions to and who colours panels onsite while visitors learn about one of Belgium’s most beloved buffoons and his creator. 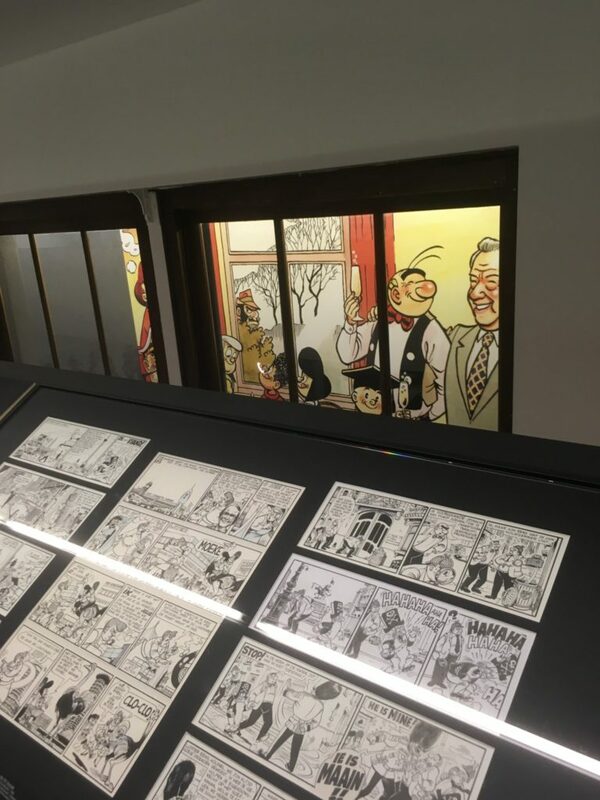 While the Marc Sleen Museum is free, the Comic Strip Centre across the street costs maximum 10 euros for adults with discounts for youths and the elderly. 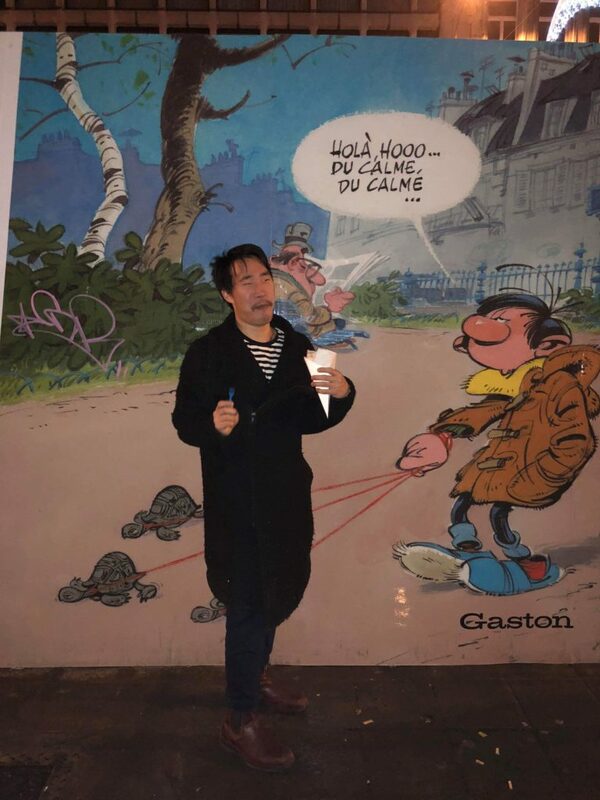 This museum is much grander and features installations to highlight the Smurfs, Tintin, and the art of comic book design in general as well as rotating exhibits. As a general warning, many of these historic characters and artists come from a different time and mindset … racist caricatures are apparent in many of the displays as a result of the age of their production as well as the foundational racism that persists today in Europe. If you are Asian, Black, Jewish, or Indigenous, be aware that there are unsavoury depictions of you and your supposed attributes/ imagery that may be un-welcomed or surprising for you in this museum. At these junctions, one can surmise and further interrogate how Europeans have codified racism in some ways in their own cultural heritage, which I would like to think was done unknowingly. These depictions of other peoples and how they are still in some ways glamourised reflect and inform experiences still today for many on this continent, which is important to recognise. I mean, if you grew up with these images and have been raised to be desensitised to them and then have them presented as part of a national treasure, that is, for sure, impactful and influential to your mindset. It is something to think about while visiting this important cultural site. 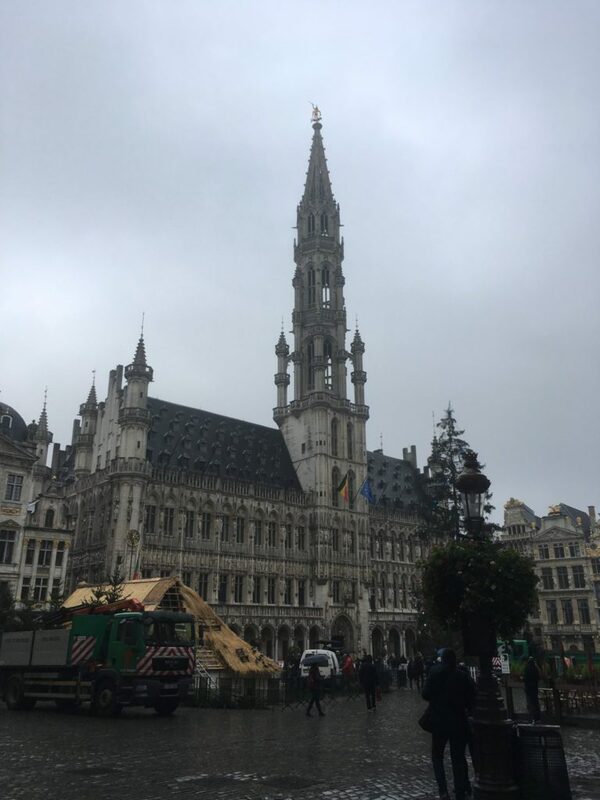 Overall, visiting Brussels in the winter is probably one of the best decisions for anyone who has the time and funds while in Europe in this season. Its size allows one to truly enjoy the city without the rush or obligation to visit everything or a plethora of tourist sites. 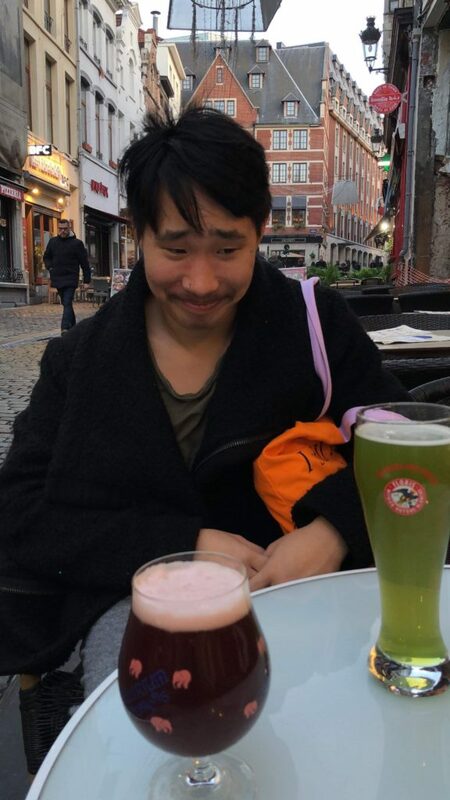 Brussels is great for a break. One can just stroll and pick and choose what random shops one might want to frequent. There is no busy cathedral, ancient ruin, or city state to hustle to; it is just Brussels. Uncomplicated and delicious. Also during this season, Christmas markets begin to pop up throughout the city. One of the largest in Europe opens during the last weekend of November and runs into the New Year even. 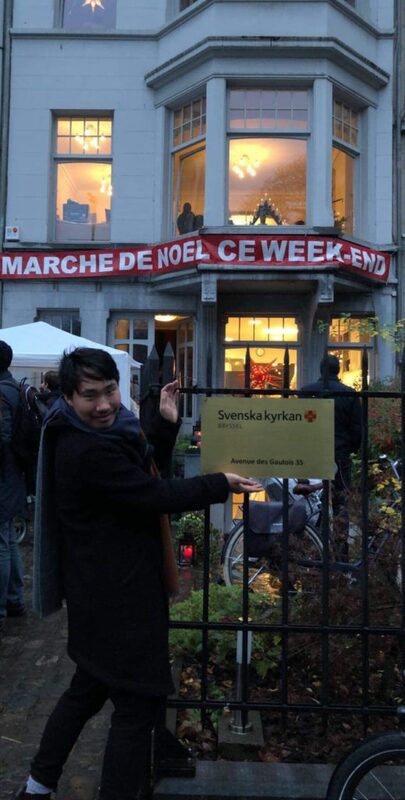 Unfortunately, we missed it by a few days, but were able to attend a Swedish Christmas market – ironic, eh? It was cute to visit and speak a little Swedish abroad (and get some glug (spiced wine)) too. It certainly got me excited for what is to come in Scandinavia during this time as well! Now, I am back in Lund, celebrating the Jewish festival of lights – Hanukkah! It turns out I forgot my mini-menorah in Vancouver, so I made a make-shift one. However, it caused a small fire (no damage), so I am now using a cutting board. Also one may be able to tell, my camera was not working with me while in Brussels. I was reduced to just using iPhone photos. Hopefully, I can get it fixed before I leave for my next trip. On that note, I will be heading to Bologna, Italy in about two weeks, so prepare for more European winter treats, tips, and Italian munchies. Excited to use misterb&b again too – no 2/5 hostels for me!